Have you ever heard the saying, “two is a party; three is a crowd”? In some cases, this statement can be true. However, in relation to business, it is not. Third-party relationships are normal and welcome in most business settings. 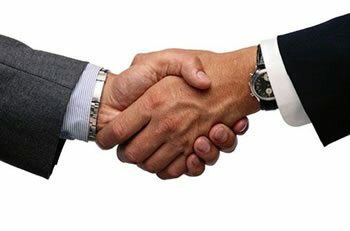 These types of relationships are forged when a company acts as a middleman in providing a buyer with products that are supplied by a vendor. When this scenario plays out without a hitch, all parties win. But, trouble starts if something interrupts this system. There’s no doubt about it: communication is key to good business. Most retail business owners understand the importance of healthy communication between company and consumer. These individuals know that when a business and a buyer experience even a small hiccup in rapport, problems such as decreased sales and impaired customer satisfaction erupt. Thankfully, there is a solution for businesses with distressed customer relations: social learning management systems. Retail business owners have the responsibility of ensuring that operations such as shipping run smoothly. This is a big job. With a mountain of stress already on their shoulders, solving communication issues with customers can be the tip of the iceberg for company leaders. A social LMS is the solution for this type of confusion. Learning management systems clarify the responsibilities and roles of everyone involved in a retail transaction. Should one party be uncertain of its duties, it can refer to specific training courses or procedures and protocols listed in the secure database of a cloud-based LMS. In this way and so many others, learning management systems help companies achieve and maintain great relationships with customers. In addition to preventing any confusion that may crop up between merchant and patron, learning management systems promote clear communication. A social LMS streamlines the process of business communication by providing a single channel that connects both parties. Features like video sharing, realtime chat and web conferencing make corresponding via social LMS easy and free of miscommunication. Those who run retail businesses are busy. Because of this, they sometimes upset customers by failing to provide updates on shipping-related changes. A social LMS keeps things as simple as possible by allowing for shared calendars and convenient scheduling of shipping. Also, learning management systems help business owners document changes made to schedules, which keeps customers happy. Good learning management systems facilitate coordination, communication and clarity between a company and its customers. The award-winning TOPYX LMS features communication tools that can help your business avoid common communication pitfalls. This cloud-based LMS’s mobile capabilities enable vendors and buyers to access it anywhere, at any time, from any device that has access to the Internet. TOPYX LMS is the ideal LMS for a business owner who wants to build a large customer base and ensure buyer satisfaction. No one can deny that LMSs eliminate a host of potential vendor/customer communication problems. In fact, it’s possible that social learning management systems are the secret behind successful retail business relationships. If you want to connect with your customers in a way that inspires loyalty and prevents miscommunication, implement an LMS.